The Massachusetts Department of Industrial Accidents (DIA) administers the workers' compensation system. If you suffer a permanent injury or lose the use of a particular body part in a job-related accident, you may be able to recover a loss of function award, among other benefits. A loss of function may exist even when a worker returns to work or never misses work at all, and there is no full recovery or there is a loss (either partial or total) in performance and function. A worker may recover for scheduled and non-scheduled losses by filing a claim for benefits with his or her employer's insurer and pursuing these benefits through the appeals process at the DIA. In most cases, an insurer is not looking out for a claimant's best interests. It is wise to consult a Boston workers' compensation attorney at Pulgini & Norton about the benefits to which you may be entitled. Permanent work-related injuries that can cause a partial or total loss of use include amputation, crushing injuries, serious burns, nerve damage, fractures, and dislocation. 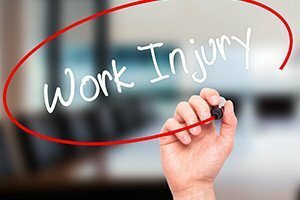 A workers' compensation schedule provides that a worker be paid a set sum based on how severe an injury is and the degree to which he or she is unable to use the body part after the accident. When an employee loses the function of a body part or is never able to use it as well as before an accident, they are entitled to receive a loss of function benefit from an employer's insurer, in addition to other benefits. The insurer must provide a single award according to a schedule and formula. After a doctor decides that you have reached a maximum level of improvement, the award to which you are entitled is divided by the percentage of function that you have lost. Generally, a medical opinion will need to be provided to obtain this benefit. You may be eligible to receive this payment over time or receive it as a lump sum payment from the insurer. Under Section 36 of the Workers' Compensation Act, the maximum compensation allowed for a loss of use is set forth by body part or loss. Only the specified losses are subject to a single lump sum payment, and many losses (such as organ damage) are not subject to the sums set forth on the schedule. However, other benefits, such as a permanent disability benefit, may apply to compensate for that loss. The sums to be paid are dependent on the Commonwealth's average weekly wage at the time of the injury. For example, if you totally lose the use of one eye, you can potentially recover a lump sum that is equal to the average weekly wage in Massachusetts at the date of your injury multiplied by 39. For the loss of hearing in one ear, you may be able to recover a sum equal to the average weekly wage in Massachusetts as of the injury date multiplied by 29. For the loss of hearing in both ears, you can potentially recover an amount equal to the average weekly wage on the injury date multiplied by 77. For the amputation of a "major" arm, you can possibly recover an amount equal to the average weekly wage as of the injury date multiplied by 43. Losses under the statute are determined based on the standards provided by the American Medical Association Guides to the Evaluation of Permanent Impairments. In order to be eligible for the benefits listed under § 36, an employee must not have died within 30 days of an otherwise compensable injury occurring after December 23, 1991. Any loss of function or disfigurement needs to be permanent to be compensable. However, scarring and disfigurement are capped at $15,000. Losing the use of a body part on the job is traumatic. Your life may never be the same. It is important to retain an experienced Boston workers' compensation lawyer to advise you on your rights with respect to scheduled and non-scheduled losses. The workplace accident attorneys at Pulgini & Norton represent employees in Cambridge, Lowell, Andover, and elsewhere in Massachusetts. Call us at 781-843-2200 or complete our online form for a free consultation.